It has a double-walled and stainless steel carafe. The machine has a fantastic, intelligent microprocessor. 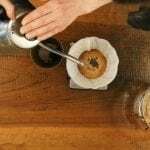 The coffee maker is certified by the SCAA. Although dishwasher-safe, it can only be put on the top rack. The machine does not have a water filter. Perfect choice for those seeking an SCAA-certified machine that provides excellent cups of coffee every single time. Aside from nine-cup model, you can also pick up the 12-cup model if you need more cups of coffee. The OXO on Barista Brain Nine-Cup Coffee Maker provides the perfect start to your day. Most of us are guilty of waking up in the morning and rushing to the kitchen to make ourselves the perfect cup of coffee. It gets us going and charged up for the day. However, what if the minute you take that first sip and realize how terrible the coffee is? What a horrible start of the day that would be! Coffee lovers know for a fact that having the right kind of coffee maker is as crucial as the kind of coffee bean you choose. Buying expensive coffee beans and using an average coffee maker to make coffee for you serves absolutely no purpose. 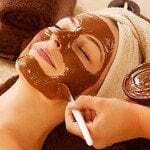 If you have encountered such problems, then you are in luck today as you have stumbled upon the right article. That is because we will be reviewing the fantastic Barista Brain 9-Cup Coffee Brewer. 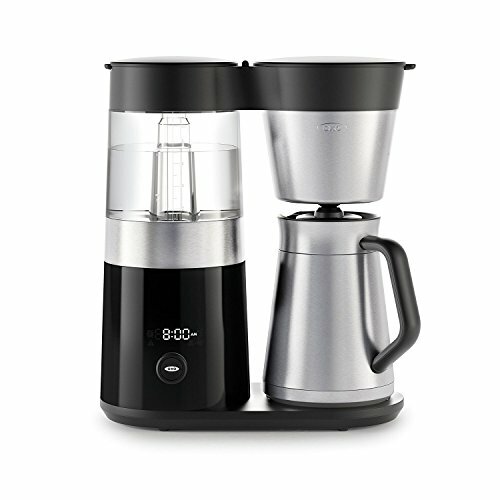 The manufacturer of OXO Barista Coffee Maker claims that this kitchen device is one of a kind and is made from only high-quality materials. 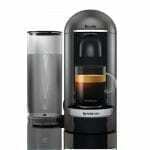 It is also said that every cup of coffee from this coffee maker will be made to absolute perfection. Intrigued? Then make sure that you read our entire in-depth review below. 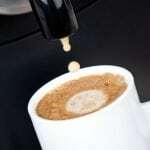 The OXO Barista Coffee Maker is like a machine with brains. It even has an amazing design which most coffee makers lack. It also features an intuitive LED screen with a large button that is also capable of doubling as a dial. Also, the machine is capable of producing about two to nine cups of coffee. We will break down the features for you across different categories. 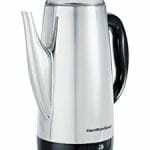 The OXO Barista Coffee Maker is made of a strong and durable stainless steel body along with a plastic container. It has a simple and minimalistic design which is also very edgy. It features an LED screen that is set up against a black backdrop which enhances the whole look of the machine. What we particularly liked about this coffee maker is the transparent water reservoir along with the pump. Those give you a clear view of the water being heated and shot up to the shower head. This LED screen is intuitive and gives the coffee maker’s status along with the indicator for freshness too. Thanks to the showerhead, the ground coffee within is evenly and sufficiently soaked. One of the most exciting features of this coffee maker is that it has something called the pulse pour, which basically means that the water, in small amounts, gets distributed at even intervals. What is better is that it heats the water at a perfect temperature which is between 197.6 and 204.8 degrees Fahrenheit. The coffee maker is easy for everyone to understand and there aren’t too many buttons. Just set the machine and it is good to go. There is only one single dial, which will allow you to program the number of cups you need. Additionally, the user manual is easy to understand and will sort out any confusion you have with the machine. This coffee maker is easy to clean. All the parts are detachable and are also dishwasher-friendly. However, that’s not it; there is an indicator on the machine which will indicate when it is time to descale the coffee maker. Unfortunately, the machine does not come along with any descaling solution. Although not the fastest brewing machine on the market, we have to say that this coffee maker performs exceedingly well and always provides a great cup of coffee. It will take about six to seven minutes to produce five cups of coffee which is pretty good. The machine is made from a strong and sturdy stainless steel and plastic material. It won’t give away too quickly. Moreover, the machine does have a two-year warranty in case anything goes wrong with it. 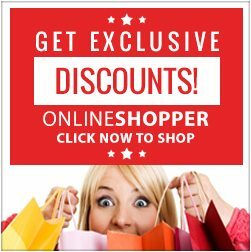 The OXO On Barista Brain Nine-Cup Coffee Maker is a perfect machine for those who are in need of a durable and robust coffee maker that provides exceptionally fantastic coffee. This one-of-a-kind coffee maker has an intelligent microprocessor that will monitor all of its operations. Moreover, it has a precise temperature control. Further, the rainmaker showerhead will ensure that water is evenly distributed all over the coffee grounds. 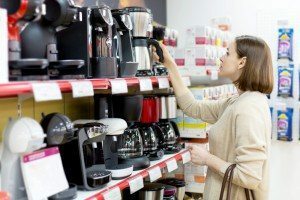 We compared the OXO Barista Coffee Maker with the Behmor Brazen Coffee Maker, and we must say that although the two products are quite alike, the former holds up a tad bit better. What its counterpart lacks is the ability to indicate that it is time to descale the machine. Additionally, it also does not have a strong and durable design. 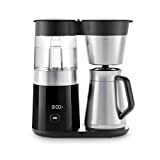 Likewise, although it can provide more cups of coffee in comparison to OXO Barista Coffee Maker, the former is heavier which makes it difficult to carry around. 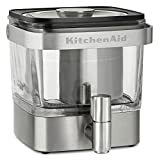 Also, it lacks the double-walled stainless steel carafe and the OXO’s signature intelligent microprocessor which does most of the work for you. 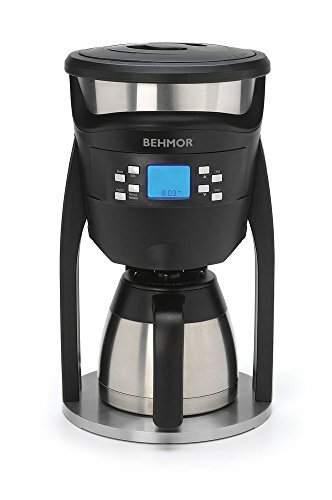 Lastly, the Behmor coffee maker lacks that precise temperature control feature which its counterpart can boast about. The OXO Barista Coffee Maker is a perfect choice for those seeking an SCAA-certified machine that provides excellent cups of coffee every single time. 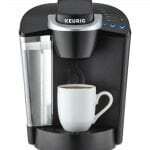 In addition to its nine-cup model, you can also pick up the 12-cup model if you need more cups of coffee. 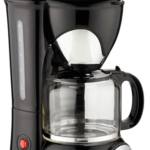 This easy-to-use coffee maker is exceptionally durable, which will last you for a very long time. 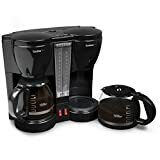 Also, the machine’s intelligent microprocessor, along with the precise temperature control, is just some of the many features why we recommend this coffee maker.